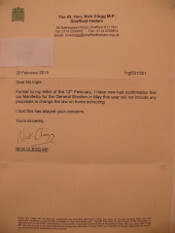 A constituent went to see Nick Clegg recently to ask about any plans to change the rules on home education, and has just received this written response. Hmmm, might have to take that with a pinch of salt, I would say! “A few people will be raising an eyebrow and take this with a pinch of salt I guess. From the recent discussions on Home Education UK, and the one following this post today, I think a lot of home educators are struggling to know who to vote for. With disillusionment over the current government, Labour’s stance during the Badman era and the Green’s ambiguous home education policy – it’s difficult. Oh, I hadn`t seen your post, so I wasn`t pinching your salt comment! The left wing tend to look on home ed as being elitist, whereas the right wing seem to think it`s a matter for the individual. Nowadays the Tories are fast moving ahead with measures to take power away from everyone, so it is difficult to predict which party will leave home-education alone. 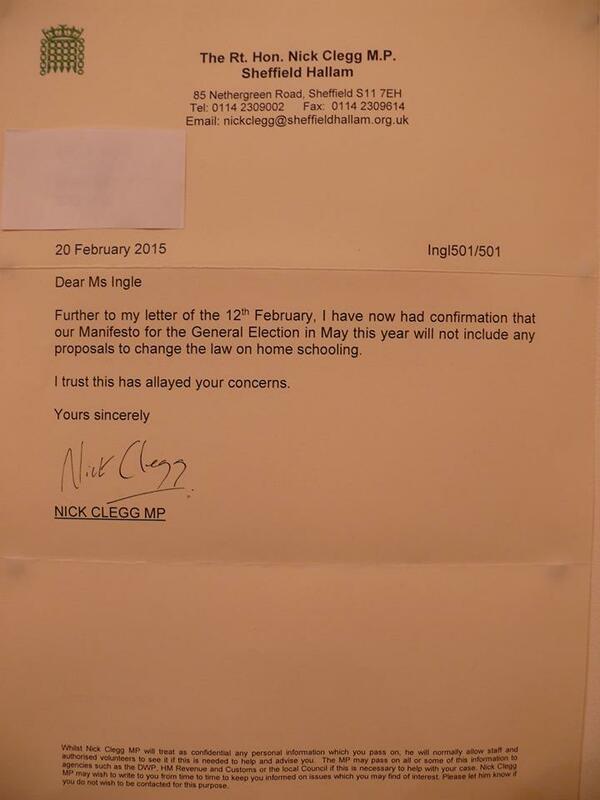 Anyway, now Nick Clegg knows more about home ed than he ever wanted to — well done! Hi Jill, Thanks for this. Totally agree it’s a good idea to go and see MPs now.